Nicola Tyler trained and worked as a physiotherapist before doing post graduate training to specialize in musculoskeletal work. She then ran her own physiotherapy practice for several years. During this time Nicola became more interested in preventative health care and started practising Pilates herself. This led her to a more preventative, holistic and educative role as a Pilates Instructor. 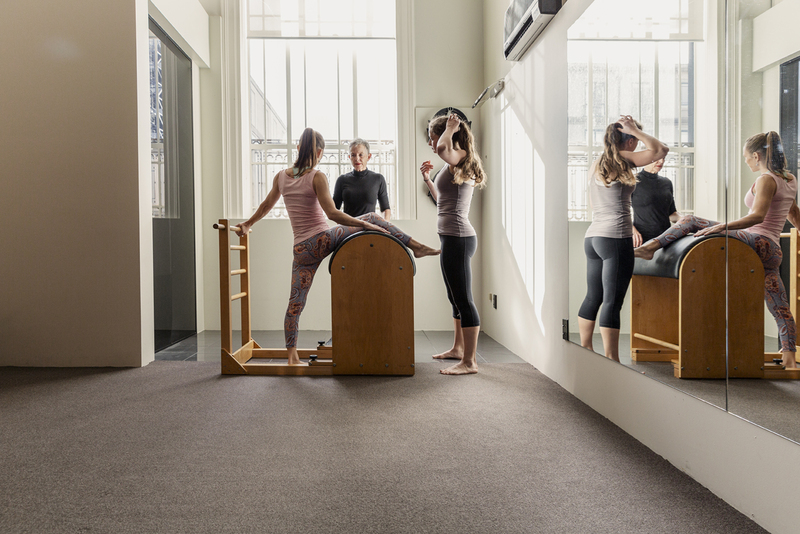 With years of experience treating a wide range of problems as a physiotherapist Nicola embraced the total system of Pilates and has accumulated knowledge from many advanced courses since qualifying with Polestar International in 2001. Nicola’s physiotherapy background and musculo-skeletal expertise along with her own practice of Pilates over the last twenty years bring a depth of knowledge to her teaching. Nicola loves the fact that as well as helping you strengthen your inner core of muscles to help your stability, Pilates exercises are extremely functional for everyday life. They take your joints through their full range of movement, focus on posture, balance, co-ordination and strengthening. Nicola’s main aim is to teach you how to achieve stability, strength and flexibility so your body can cope with the demands you put on it. She recognises that it is also important to enjoy this process and the studio provides a playground for you to explore your movement with guidance. She also finds it very stimulating to work alongside and share ideas with the committed team at the physio pilates studio. A weekly training session is a forum for the team to share ideas, knowledge and the information from the latest courses and conferences. Nicola’s special interests include helping older adults maintain agility, strength and balance and helping everyone to exercise with an awareness of how to maintain or improve their best possible posture. Nicola loves the wide variety of people she teaches and the different layers and levels of body awareness and movement that you can find through practising Pilates, Personally she finds Pilates invaluable to maintain agility and move well through all phases of life.